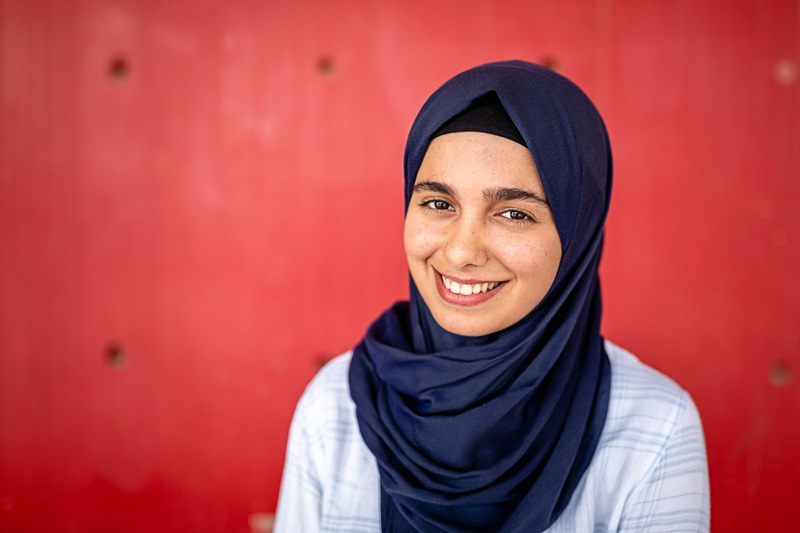 Weam, 19 years old, recently started her Computer Science studies at the Lebanese University in Beirut, on a DAFI scholarship. She is originally from Dara'a, in Syria, but had to flee in 2015. “I feel very happy to be given the chance to study at university, as it is the road towards independence. Since I have started my college studies, I have become stronger, in terms of my personality as well as in the area of decision-making. My professional goal is to work in the field of programming or gaming, as a manager. But it will not be easy: first, I will need to financial means to do so and secondly, there are not too many gaming companies in the region. That means I will probably have to go abroad to pursue my career goals. My message to everyone listening is that one has to put in a lot of willpower and hard work to achieve one's dreams.” Beirut, October 2018.